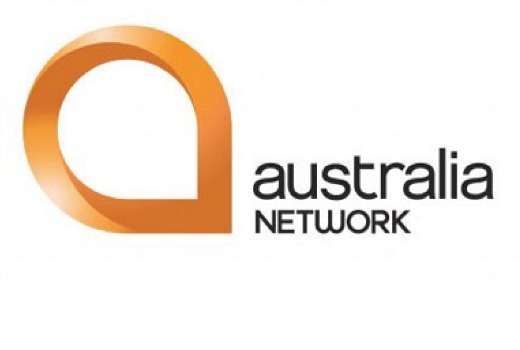 ABC-managed Australia Network will cease broadcasting on September 28th, to be replaced by a 6 hour daily block of online content known as Australia Plus Television. It is with much regret that, after many years of broadcasting into the region, I must inform you of the termination of the Australia Network TV service. As you may be aware, the ABC has been forced to terminate the service following the Australian Government’s withdrawal of its funding. The ABC has developed a new service to fulfil its obligations to broadcast internationally however, at this point in time, this does not include a widely available television channel. We will be terminating the Australia Network service at 12.00 midnight Australian Eastern Standard Time (AEST) on Sunday, the 28th of September. We apologise for any inconvenience this may cause. From Monday 29 September, we will provide a 6-hour block of television content from Australia Plus Television which will be available between 3pm to 9pm AEST (5 pm to 11 pm Fiji time). From Sunday 5 October following daylight saving, this will change to 4pm – 10pm AEDST (6 pm to 12.00 pm Fiji time). Technical specifications for the satellite delivery of this 6-hour block will be provided shortly. Australia Plus Television will also offer iview-style on demand content for expats with both free and pay per view catch-up content. Around 80 jobs have gone from the ABC as a result of the axing of the network, which has operated since 1993, than known as ATVI. In May the government terminated the $223m contract between the ABC and the Dept. of Foreign Affairs and Trade. “Thank you for your support of Australia Network and the ABC over the years and we hope that one day in the future we may be able to partner with you again,” Marshall wrote. Could someone please record the final broadcast and upload it to YouTube so we can all see the moment we stopped being a part of the neighbourhood and put up the shutters culturally. Abbott Govt closure slated for late 2016 possibly? As someone who has traveled extensively over the past 20+ years I find this decision very short-sighted. a) Ministers only to travel business class. b) Cancel comcars in Canberra (they all leave for airport at same time so put them on coaches) and let them get taxis at other times. c) Cancel all fuel cards for politicians. (They all get private vehicles and free fuel). d) Remove subsidised food, beverage and ‘room service’ in parliament house. e) Remove access for family to free business class travel. From what I can make out by reading the announcement on the AN site.. a TV service of sorts will continue for about half the countries that currently get AN (predominantly Pacific Islands and SE Asia, with Japan, Korea and India to follow sometime in the future). But being a six hour block only means that whilst programmes will air mostly in prime time in the Pacific, it’ll be mid afternoon or earlier for Asia. Also guessing this block isn’t on repeat for the following 18 hours? Definitely a backward step killing off AN. I wonder if this would be happening if Sky News were running it.. I saw it in China last month, with so many channels to watch and ability to nget faster online news, its a sign of the times. The problem was its news was 24 hours old for some reason. The Netherlands has a similar network which is BVN. They only broadcast high quality programming and the service is available internationally and not just in Asia only. If Australia is to have an international broadcast network to the world in the future, it could learn from the success of international television networks, such as BVN, NHK World, BBC World, CCTV News International, Channel NewsAsia etc. Complaints about the loss of this service can be directed to Sen Conroy and a Mr Rudd, who compromised the original tender process and set in train a process that ended up placing ABC management in a very difficult position. Why can’t we just make deals so that SBS or ABC can broadcast in the areas where the AN was? Surely it would benefit both channels?? It’s ironic that AN’s predecessor ATVI started when the Coalition was in government, and the service will end when the Coalition is in government. It’s sad that AN has to end because of government cuts. Even if Labor wins the next federal election, it will cost even more to restore AN, given the satellite spectra will have to be allocated to other networks by then and the ABC will have to rent other spectra. @maxxdude: three of Australia’s football codes (NRL, Super Rugby, A-League) have already signed broadcast deals with various cable and satellite networks across Asia, it’s just that the AFL is relying on AN to broadcast the matches into the region. This is a stupid,stupid decision agree with @maxxdude even living in the outback in the N.T. where we had no commercial signal it was as I have known it ATVI to the rescue it left every FTA network for dead R.I.P. I don’t care what side of politics you’re on, this is just wrong. I know when I lived in Jakarta for many years AN was a lifeline to home. From catching up on news to watching AFL & NRL on the weekends AN was a piece of home. Does the government really understand the loss of coverage of al our fotball codes through the Asia Pacific region. I was once watching Barrie Cassidy on Insiders talking about highly localised content that was broadcast on Australia Network while I was overseas. The thought occurred to us that we were probably the only people watching this in the whole country. There was hardly any inter-cultural content on Australia Network. @dwuuuu – I doubt you have ever seen AN or understand what it does. Guess the money can go to Tony’s new bomb-proof BMW and the new Prime Ministerial jet he has his boffins looking for. Only the ignorant and the free market ideologues will celebrate the passing of a very effective soft power footprint into the Asia-Pacific region. Julie Bishop and her ilk will soon realise just how influential the Australia Network was particularly in the Pacific. There was a time in the 1990s when Kerry Stokes ran the service and it was so bad that the then foreign minister Alexander Downer handed it back to the ABC. @dwuuuu like protecting our borders from foreigners? team Australia! Kowtowing to Murdoch like this is not good work. Sorry. So happy it’s finally shut down. Good work by the Liberals ! The money saved can go towards on other better worthwhile causes. Sad news for the ABC. ” iview-style on demand content for expats with both free and pay per view catch-up content” is useless in Fiji, PNG, Solomons, Vanuatu, Nauru, Samoa, Niue, Cook Isl., and the dozens of other countries that take AN as their main FTA local TV broadcast supply. Also, anything that uses the Internet there is useless due to low quality lines, wirless services, and download costs, not to mention the fact that most just don’t have a PC! In one stoke, Abbott & co. have undone 21 years of good work by ABC/AN and DFAT. This service was never intended for “expats”.